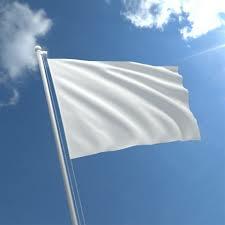 “No flags.” Another one-liner from the Lord, and this one as pithy as they come. As usual, I knew exactly what He meant. Since gaining numerical significance, the people of God have always carried tribal overtones within their unity. Jacob’s sons became the heads of twelve tribes, each with distinctives in character and calling. Benjamin, Levi, Judah – these are names with a great deal of meaning to anyone who has a handle on Old Testament history. But problems arise when unity begins to fracture along these tribal lines. It is but a small step in the heart from Benjamin, Levi and Judah to “I’m of Apollos”, “I’m of Cephas”, and “I’m of Paul”. As Paul pointed out to the fragmented community in Corinth, we’re actually all of Christ, and this polarising stuff is counterproductive. The lesson is this: while we cannot avoid having distinctives, these should not define us. Christ alone does that. Some of our distinctives are primal, like skin colour and gender; others are nuanced, like doctrine and calling. No matter which, our carnal tendency is to quantify and categorise, define and delineate, and then associate and/or disassociate accordingly. The result is Christ divided; a house that crumbles. A fundamental error repeated over and over again. 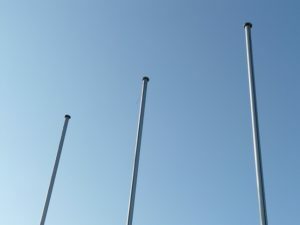 So, no flags! No flags marking our allegiance to any faction of the church above another. And no flag calling for allegiance to this part of the church above another. Autonomous, inter-dependent local church – nothing more; nothing less – under the responsible government of it’s Biblically appointed eldership, and relationally connected to the important trans-local gifts of apostle, prophet, evangelist, pastor and teacher. Nothing could be simpler or clearer. Yet walking in this has been challenging in the utmost. The reason is not that other church leaders don’t understand or disagree with the position. Rather, it’s regarded as some sort of lofty idealism. Consequently, the Lord’s church is so divided along the lines of it’s respective distinctives, that it has often become the purveyor of a its respective brand of Christianity, more so than of the Gospel. Just gather with other leaders. The first question typically goes to who you’re “under”. For me this question raises something of a red flag (excuse the pun), because you soon discover that you’re welcome everywhere on a superficial level, but nowhere on a significant level. Unless of course you subscribe to the finer points of the distinctives of the brand in question. To state this is to state the obvious: The New Testament church was one congregation, many apostles; not one apostle with his many congregations. Again, to state the obvious: Paul’s reference to some who he had raised up as sons was descriptive, not prescriptive. If the shoe fits, wear it, but let’s not insist that everyone dons our preferred brogues. All that does is corrupts and weakens the gene pool by incestuous inbreeding. Why should everyone we invest in undergo some sort of DNA transfusion in order to become just like us? 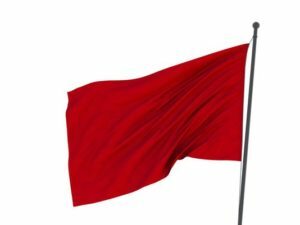 The flag issue ultimately addresses ownership. It is my strong conviction that the church, and by that I mean the local church, belongs to Christ. The Scriptures are clear on local church structures – elders and deacons; with elements of episcopal, presbyterian and congregational approaches, dependent on context. Any structures that emerge between these autonomous local churches and the glorious eternal church are man-engineered. They may facilitate health and mission, but they arise out of pragmatism (us) rather than Perfection (Him). Let’s hold onto them lightly. And when they begin to define us in ways that supersede our identity in Christ, let’s jettison them in haste. Every local church has distinctives. These is nothing wrong with that. But so strong is our need to define ourselves by association that even a flagless local church runs the risk of becoming part of some no-flag movement, where flaglessness becomes the defining characteristic, and where like good teenagers, we all non-conform together in identical ways. See above, and count us out. One last thought, and I include it simply because I encounter it so often. My resistance to defining alignment within the wider body of Christ is not because I’m hurt, bent and buckled. It seems there are those who resist relationships of depth and accountability because they are wounded, and it is true that living rogue doesn’t produce much by the way of good fruit. But I’m not rogue. Neither are many others who share these convictions. And we are walking in, and healthily desirous of, trans-local relationships of depth and accountability. We’re just not prepared to become card-carrying movement members, for doing so would have us perpetuating an exclusivity and elitism that needs to be flushed out from amongst the people of God, and not reinforced and entrenched. So it is that the proverbial flagpole rises high above the roof of the building in which our local church gathers on Sunday mornings. Around us, any number of believers, and more commonly leaders, eye its vacant tip with considerable perplexity, and at times more than a little disdain. We know this because they agitate about it, and subtly raise the matter with us again and again; and at times not so subtly. 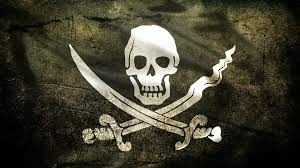 But long may it so remain, and soon may those whom it bothers come to see that it really is OK. For a flagless flagpole does not default to a Jolly Roger (the skull-and-crossbones, and pirates ahoy! ), or half-mast (another failed church and perhaps a building for sale). If it defaults anywhere, it’s to a white flag, and this part of the body of Christ unwilling to be at war with the rest of itself.